Measurements: 43mm long X 6mm wide. 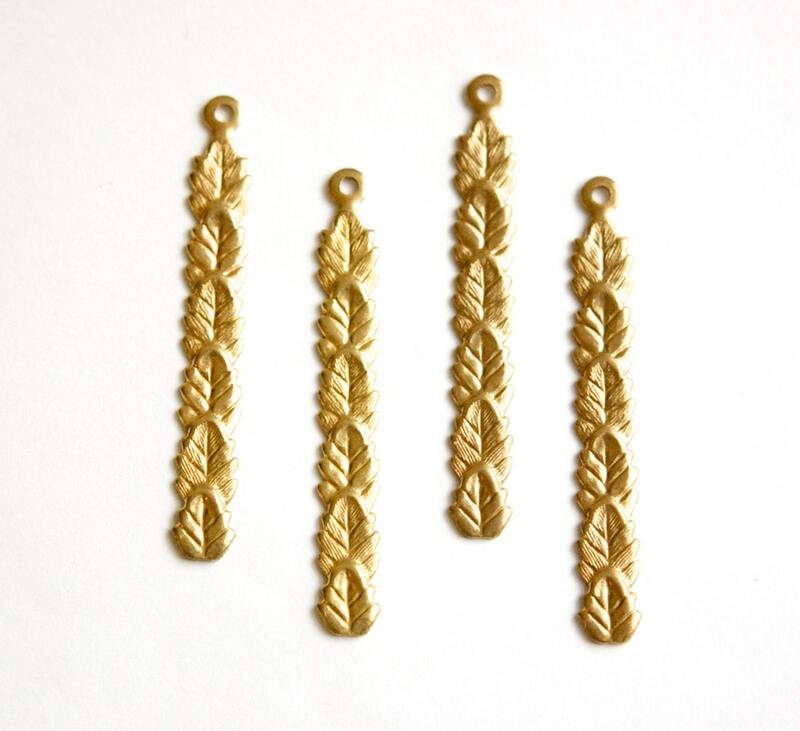 Characteristics: There is a smooth and textured leaf alternating down the pendant. The back is concave and detailed. One is turned over, on the right in the second picture so you can see the back. 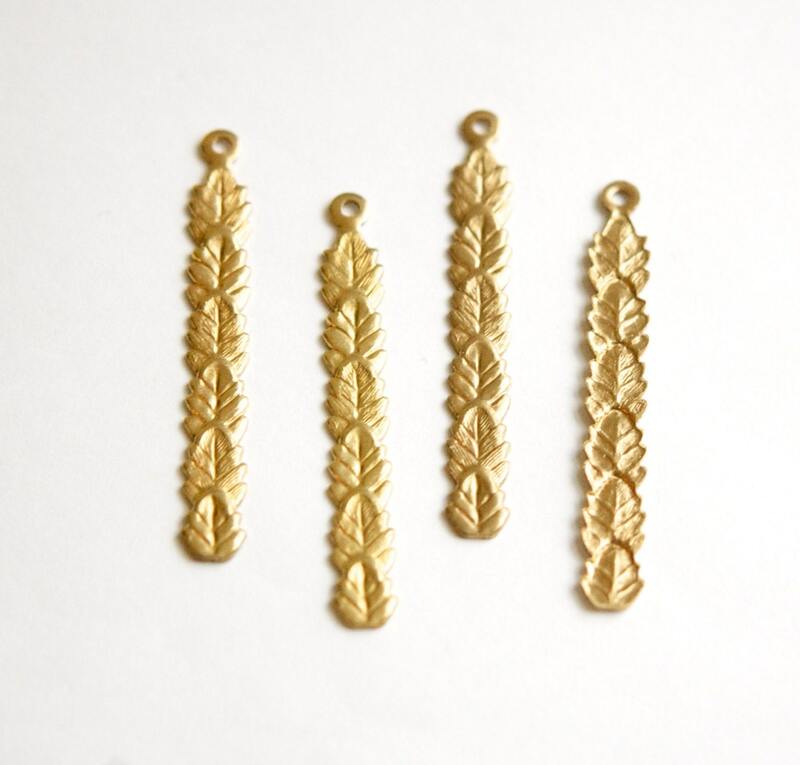 Love these pretty and lightweight earring findings.